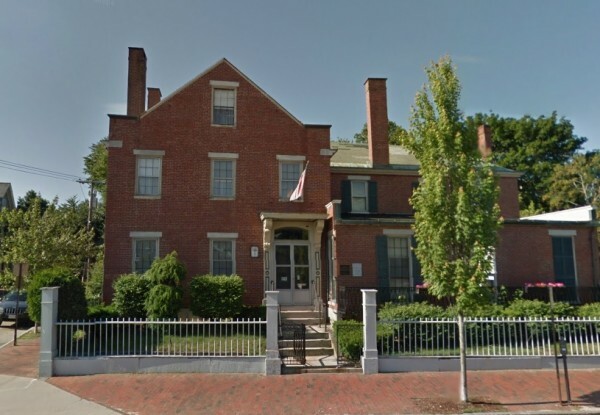 The former home of abolitionist and "Napoleon of Temperance" Neal Dow is imperiled, according to Greater Portland Landmarks. 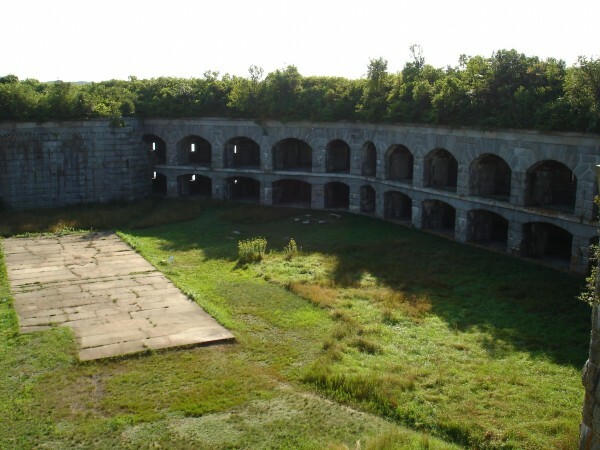 Greater Portland Landmarks has released its 2013 Places in Peril list, including Fort Gorges, built 1858-1864 on Hog Island in Casco Bay. PORTLAND, Maine — The tower clock that survived the infamous demolition of Portland’s Union Station and the historic park where Occupy Maine demonstrators camped out for nearly five months last year headlined Greater Portland Landmarks’ second annual Places in Peril list, unveiled Wednesday. The organization’s list is a local spin on the National Trust for Historic Preservation’s 25-year-old annual Most Endangered Historic Places rankings, which have sought to raise the profile of deteriorating properties deemed important to the country’s heritage. The seven Portland area buildings and properties listed Wednesday are in need of protection, funding and awareness to avoid falling into greater disrepair or — in some cases — being lost forever, Landmarks officials said. Despite being historic properties, two of the sites designated as imperiled by the group Wednesday have been in contemporary headlines. 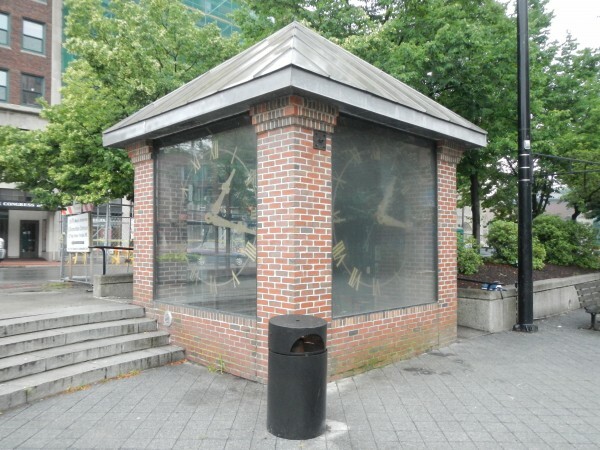 The tower clock from the majestic Union Station — whose destruction in 1961 to clear the way for a strip mall is largely credited with launching Portland’s historic preservation movement — is now housed for public display in Congress Square park. In a controversial decision earlier this month, the City Council agreed to sell two-thirds of the publicly owned space to private developers who plan to expand the adjacent former Eastland Park Hotel. The city’s 1866 Lincoln Park, built after the Great Fire of 1866 destroyed most of downtown Portland, was more recently the home for the local offshoot of the high-profile Occupy Wall Street protest movement in late 2011 and early 2012. By the time Occupy Maine was forced by city officials and a court ruling to take down its tents in February 2012, it was the last such encampment standing in what had been a national network of them. Western Cemetery, located adjacent to the city’s West End Historic District and opened in 1830, remained active until 1910. A 12-acre cemetery with 6,600 marked and unmarked graves, including a tomb that belonged to the family of famed poet Henry Wadsworth Longfellow, the Western Cemetery is a victim of vandalism and neglect despite the best efforts of a local group, the Stewards of the Western Cemetery, Bassett said. The 1800 Ingraham Carriage Barn at 79 High St., described by Greater Portland Landmarks as “a rare surviving example of an early, and now very rare, building type — the urban carriage barn.” The structure is a Federal style, timber-framed building that retains its original skive-jointed clapboarding, but is “vacant and deteriorating quickly.” “The Ingraham Carriage Barn is an architectural gem that is at a tipping point: without immediate attention to preserve and rehabilitate the building, it is likely to be lost,” the Landmarks description reads, in part. The “historic resources” of South Portland, which Bassett said need to be cataloged and assessed before potentially landing on future Places in Peril lists individually. “There’s a lot of history in South Portland, but nobody knows about it and there’s no protection,” Bassett said, pointing to a deteriorating church at 179 Broadway and a 52 Pine St. structure in the historic Ferry Village neighborhood as examples of buildings that may deserve designations on the National Register of Historic Places if an inventory of such city buildings is conducted.